Today is the official anniversary of the day I started blogging, 4 years ago! Can you believe it, 4 years?? I can’t. Blogging is more common now than it was then. At the time, I was just looking for a creative outlet and a way to investigate military life as SoldierMan was still considering joining the Army. I had no idea the wonderful relationships and opportunities I would find over the years. So many of my BBs have become great friends in real life, and I know even more will be one day. I’d list them but I’m too afraid to leave someone out. So let me just say to all y’all, you’re the reason I keep coming back. And because I love ya (Pioneer Woman shout-out) I want to have a special blogaversay My Favorite Things giveaway! The Mark of the Lion trilogy is set in 1st Century Rome and follows the lives of three people: a slave, an aristocrat and a gladiator. Each one gets a book that focuses primarily on them but their stories are all intertwined. It’s rich with historical detail and emotional depth. These were the books that made me want to write novels. And I’m giving away my personal set. Yup, this is my favorite movie. SoldierMan likes to tease me about it, but it is an amazing movie. And before anyone wants to pull that “Well, but the Seven Samurai…” hipster line on me, let me remind you that Kurosawa made ‘Seven Samurai’ because he loved American Westerns and wanted to bring those themes and archetypes to a historic Japanese setting. 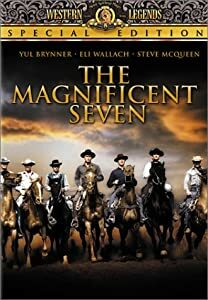 So technically The Magnificent Seven is the ultimate realization of Kurosawa’s vision. So there. Made with literally an all-star cast and with some of the best characters in movie history, I can watch it again and again. And I have :) You’ll get a nice new DVD of this one. Pink OPI polish! Exact shade of pink will depend on what Ulta has available. The lucky winner will receive all of the above items! My little gift to you to say Thanks! for following me these last 4 years! 4 years of blogging! So exciting! I'm ashamed to say I've never read anything by Francine Rivers... I keep meaning to! But I'd love to give them a whirl! Oh, and I loved Francine River's The Last Sin Eater... It was fantastic! Happy Blogiversary!! That book series sounds great! Yea, I want to win! Yay for anniversaries!! YAY!!! Congrats to 4 years of blogging! The giveaway sounds awesome & I would LOVE to win! Aww, this is so awesome, Jaci! 4 years! Wow! Congratulations on the achievement! Oh wow. I want those books! Happy Anniversary babe...if it weren't for you blogging, I wouldn't be blogging too so thank you! 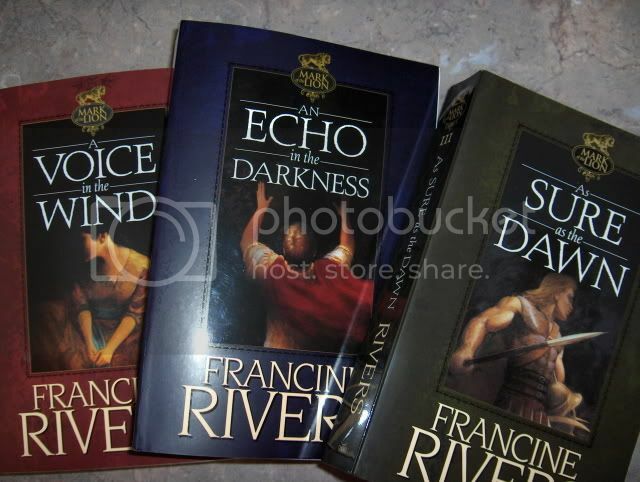 I need to check out Francine Rivers..I looove historical fiction! I'm intrigued by the books I'm going to g check the library online tonight!